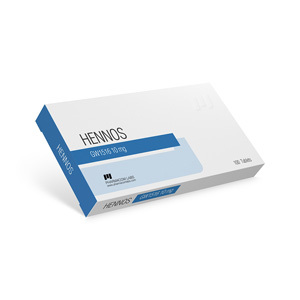 Hennos 10 mg (GW1516) is a drug related to “Gene dope”, and is quite popular and effective. Its use is necessary in sports where a high level of endurance is required. Also, the drug is an excellent fat burner. Hennos 10 review has an impact on energy production. It helps oxidize fat cells, and makes blood flow faster. The drug in the form of tablets is more toxic compared to injection. In some cases, but rarely causes problems related to digestion, but as a rule, this happens only with those who have gone too far with the dosage or the time of the course. The duration of the course of hennos-10 ml intake is on average from 6 to 8 weeks. The daily dosage of the drug ranges from 20 to 50 mg per day. Exceeding the dose of 50 mg is unacceptable, so the result will not increase and the process of exposure to the drug will not accelerate, but there may be many side effects, such as painful muscles, of a permanent nature. With such symptoms, you need to take a break, do not take the drug for a week until the pain disappears, and then start taking Hennos again, but reduce the dosage.